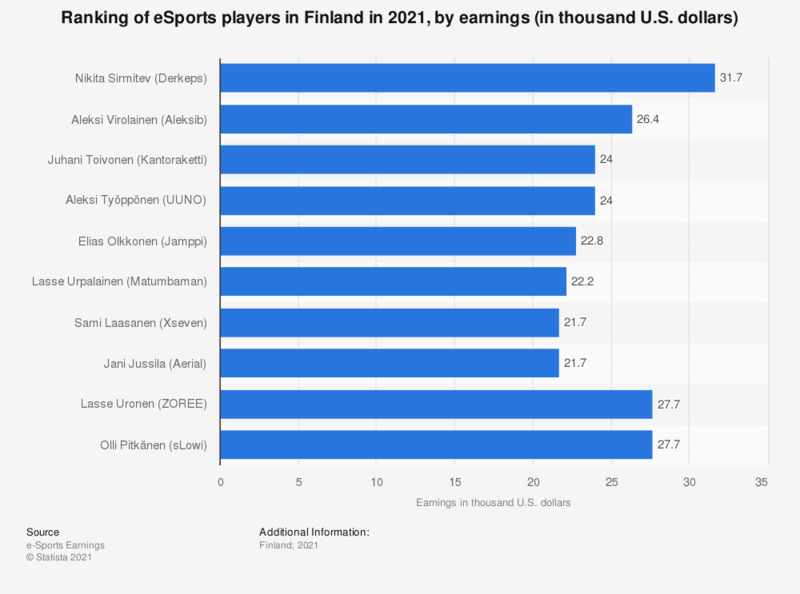 The statistic displays the leading eSports players in Finland in 2018, by earnings. In 2018, Jesse Vainikka with a player ID JerAx was the highest earning eSports player in Finland, with total annual earnings amounting to approximately 2.3 million U.S. dollars. The second highest earning player was Topias Taavitsainen aka Topson, with total annual earnings of roughly 2.2 million U.S. dollars. The third in the ranking of highest earning Finnish eSports players was Lasse Urpiainen who, using the player ID Matumbaman, earned approximately 646,000 U.S. dollars in the year 2018.